01. Following A Maiden`s Voyage! 02. Two Degrees Of Separation! 03. When Pokemon Worlds Collide! 04. Dawn Of A New Era! 05. Gettin` Twiggy With It! 06. Different Strokes For Different Blokes! 07. Like It Or Lup It! 09. Setting The World On Its Buneary! 10. Not On MY Watch Ya Don`t! 11. Mounting A Coordinator Assault! 12. Arrival Of A Rival! 13. A Staravia Is Born! 14. Leave It To Brocko! 15. Shapes Of Things To Come! 16. A Gruff Act To Follow! 17. Wild In The Streets! 18. O`er The Rampardos We Watched! 19. Twice Smitten, Once Shy! 20. Mutiny In The Bounty! 21. Ya See We Want An Evolution! 22. Borrowing On Bad Faith! 23. Faced With Steelix Determination! 24. Cooking Up A Sweet Story! 25. Oh Do You Know The Poffin Plan! 26. Getting The Pre-Contest Titters! 27. Settling A Not - So - Old Score! 28. Drifloon On The Wind! 31. The Grass-Type Is Always Greener! 33. All Dressed Up With Somewhere To Go! 34. Buizel Your Way Out Of This! 35. An Elite Meet And Greet! 36. A Secret Sphere Of Influence! 38. One Big Happiny Family! 40. Top - Down Training! 44. Mass Hip - Po - Sis! 45. Ill - Will Hunting! 46. A Maze - Ing Race! 48. Ash and Dawn! Head for a New Adventure!! 52. Smells Like Team Spirit! 58. Nosing `Round The Mountain! 60. Journey To The Unown! 62. Tanks For The Memories! 63. Hot Springing a Leak! 64. Riding the Winds of Change! 67. Crossing the Battle Line! 68. A Triple Fighting Chance! 70. The Bells Are Singing! 75. Our Cup Runneth Over! 76. A Full Course Tag Battle! 77. Staging a Heroes` Welcome! 78. Pruning a Passel of Pals! 79. Strategy With a Smile! 80. The Thief That Keeps on Thieving! 82. Cream of the Croagunk Crop! 83. A Crasher Course in Power! 84. Hungry for the Good Life! 85. Fighting Fear with Fear! 87. The Psyduck Stops Here! 89. Up Close and Personable! 91. One Team, Two Team, Red Team, Blue Team! 92. A Lean Mean Team Rocket Machine! 93. Playing The Leveling Field! 95. Battling The Generation Gap! 98. If the Scarf Fits, Wear It! 99. A Trainer and Child Reunion! 101. Barry`s Busting Out All Over! 102. Shield with a Twist! 105. Get Your Rotom Running! 108. Dealing With Defensive Types! 110. Steeling Peace of Mind! 111. Saving the World from Ruins! 112. Cheers on Castaways Isle! 114. Another One Gabites The Dust! 118. Pursuing a Lofty Goal! 120. 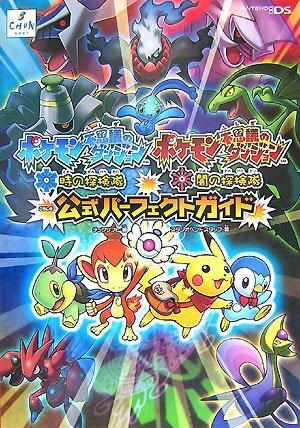 Mysterious Animals Pocket Monsters! 122. Stopped in the Name of Love! 123. Old Rivals, New Tricks! 124. To Thine Own Pokemon Be True! 125. Battling a Cute Drama! 130. Frozen on Their Tracks! 131. Pedal to the Mettle! 135. Beating The Bustle And Hustle! 137. Three Sides to Every Story! 138. Strategy Begins at Home! 139. A Faux Oak Finish! 141. Challenging A Towering Figure! 142. Where No Togepi Has Gone Before! 144. Gone With the Windworks! 145. A Rivalry to Gible On! 146. Dressed for Jess Success! 148. Try for the Family Stone! 149. Sticking With Who You Know! 150. Unlocking the Red Chain of Events! 151. The Needs Of The Three! 152. The Battle Finale of Legend! 153. The Treasure Is All Mine! 156. A Meteoric Rise to Excellence! 157. Gotta Get a Gible! 158. Regaining the Home Advantage! 159. Short and To The Punch! 161. Yes In Dee Dee, It`s Dawn! 162. Playing the Performance Encore! 163. Fighting Ire With Fire! 164. Piplup, Up and Away! 165. Flint Sparks the Fire! 166. The Fleeing Tower of Sunyshore! 167. Teaching The Student Teacher! 168. Keeping in Top Forme! 169. Pokemon Ranger: Heatran Rescue! 171. Dawn of A Royal Day! 172. With the Easiest of Grace! 173. Dealing with a Fierce Double Ditto Drama! 176. Coming Full - Festival Circle! 177. A Grand Fight for Winning! 178. For The Love of Meowth! 179. The Eighth Wonder of the Sinnoh World! 180. Four Roads Diverged in a Pokemon Port! 181. Bucking the Treasure Trend! 182. An Old Family Blend! 184. Casting a Paul on Barry! 185. Working on a Right Move! 187. A Real Rival Rouser! 188. Battling a Thaw in Relations! 190. The Brockster Is In! 191. Memories Are Made of Bliss!